Pricing for Samsung’s next generation Galaxy S6 range will start from $999 and reach $1449 when it goes on sale in Australia on 10 April. Samsung will offer the S6 and S6 Edge in storage options of 32GB, 64GB and 128GB in Australia. The smartphones will be available in two colours at launch: White Pearl and Black Sapphire. Australia’s three largest telcos — Telstra, Optus and Vodafone — will range the smartphone. Telstra is offering bonus data and bundling a six month subscription to the Presto video-on-demand service ahead of the smartphones’ launch. New to the Galaxy S range is the S6 Edge, which is the world’s first smartphone to have the screen curve on both its left and right sides. 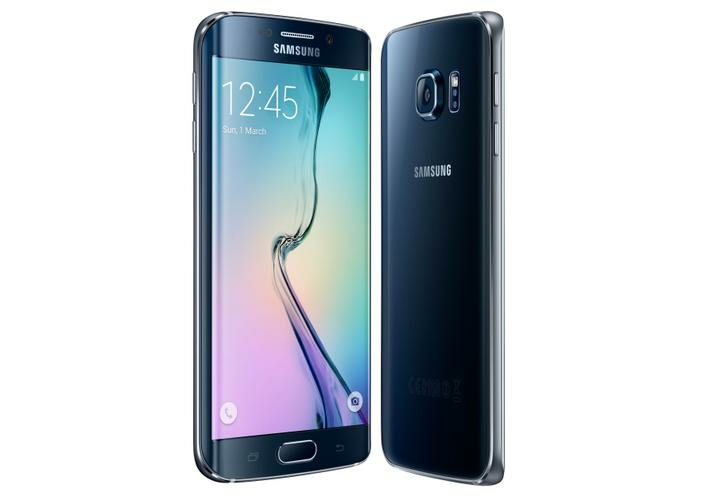 The S6 Edge is priced at a premium with prices for the 32GB version starting at $1149. Samsung has taken a different approach with the Galaxy S6. The smartphones boast premium materials with metal used for the chassis and Gorilla Glass 4 coating the smartphones’ front and back. Sacrifices have been made in order to use premium materials. Batteries are now integrated into the smartphones and there no longer is space for a microSD card. Samsung’s focus has shifted towards internal storage options up to 128GB. Another notable absentee is certification against dust and water. Ditching this feature has helped Samsung keep the body of the smartphones thin at 7mm. Samsung has focused on implanting its best technologies into the smallest footprint possible. Both Galaxy smartphones have a 5.1-inch, SuperAMOLED display. The screens have a 1440x2560 resolution for a market leading 577 pixel-per-inch density. The screen is of such high quality that Samsung has partnered with Oculus to develop dedicated Galaxy S6 virtual reality headsets. Computing hardware tells a similar story. Powering the smartphone is an 8-core processor, composed of a 2.1GHz quad-core CPU and another quad-core CPU clocked at 1.5GHz. The S6 and S6 Edge will alternate between the two processors depending on the intensity of a task. Handling storage is 3GB of DDR4 RAM, and flash memory in sizes of 32, 64 and 128 gigabytes. Company executives claim the processor is both more powerful and more economical, which has made it possible to include a battery that is smaller than its predecessor. Built into the Galaxy S6 is a 2550 milliamp-hour battery that supports fast charging. Executives claim charging the battery for 10 minutes will replenish the smartphone for another four hours. The Edge variant of the S6 has a marginally larger battery at 2600 milliamps. Wireless charging technology is built into the S6 smartphones. The S6 will work with wireless charges based on either the WPC or PMA standard. Both cameras have been upgraded. The rear 16MP- and the front 5MP-cameras support an aperture of F/1.9 for improved low-light photography. Samsung unveiled the Galaxy S6 range globally at the Mobile World Congress in Barcelona. Good Gear Guide has gone hands on with the smartphone and will publish a full review when possible.